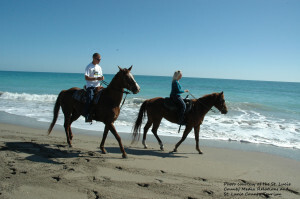 One of the most unique experiences here is a tour on horseback on the beautiful pristine beach on Hutchinson Island. This view of Frederick Douglass Park is truly a one-in-a-lifetime experience for many visitors. The park also offers fishing and is dog-friendly. This is a great place to host parties and get-togethers for family and friends. Besides the tennis, basketball and sand volleyball courts, this beach offers great snorkeling and scuba diving. A well-known boat wreck, the Urca de Lima, is just 200 yards offshore, making this a favorite for divers. The Clothing Optional Blind Creek is definitely the most secluded beach with 1.5 miles of remote beachfront along the Atlantic Ocean. The beach is smaller, doesn’t see as much traffic and doesn’t have lifeguards on duty, which makes it a great place for a beach walk. 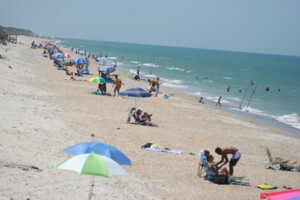 The area is popular for surf fishing and beach combing and includes various natural environments with a coastal dune, coastal strand, maritime hammock and tidal swamp. 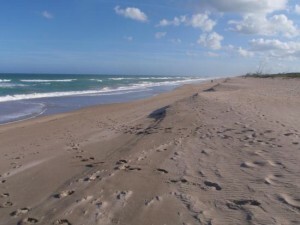 The most quiet beach in the Port St. Lucie area! 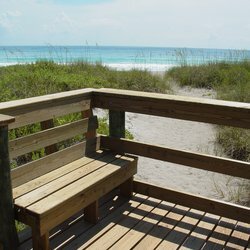 Named after noted local environmental activist John Brooks, this 226-acre upland and wetland preserve features two miles of beachfront dunes and seashore fishing, and has one wooden ramped dune-crossover with covered viewing area. One of the more popular beaches, Jaycee Park is a haven for kids as well as adults and has several sporting options. 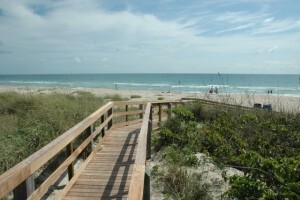 This has more than eight acres of oceanfront access with park amenities including a playground, a restaurant, a scenic boardwalk, a large picnic area and a buoyed swimming area. Perfect for family gatherings!